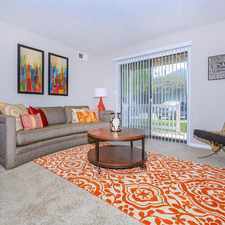 The rent at Woods of Castleton Apartments ranges from $764 for a one bedroom to a $1,099 three bedroom. Apartments in this building are about 13% less expensive than the I69-Fall Creek average. This is a pet-friendly apartment. 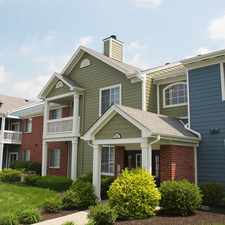 This apartment is in the I69-Fall Creek neighborhood in Indianapolis. Nearby parks include North Eastway Park and Sahm Park. Woods of Castleton Apartments has a Walk Score of 31 out of 100. This location is a Car-Dependent neighborhood so most errands require a car. Welcome Home to Woods of Castleton!\nCall today for more information or to schedule your personal tour of Woods of Castleton. Explore how far you can travel by car, bus, bike and foot from Woods of Castleton Apartments. Woods of Castleton Apartments has some transit which means a few nearby public transportation options. Woods of Castleton Apartments is in the I69-Fall Creek neighborhood. I69-Fall Creek is the 62nd most walkable neighborhood in Indianapolis with a neighborhood Walk Score of 19.